A press release in connection with the material change was issued on Canadian newswires and filed on www.sedar.com under the Company's profile on November 10, 2014, a copy of which is annexed hereto as Schedule "A". The material change is summarized in the press release annexed hereto as Schedule "A". A full description of the material change is provided in the press release referenced in Item 4 above and annexed hereto as Schedule "A". 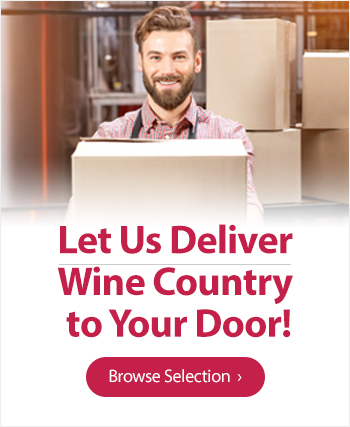 November 10, 2014 – Niagara-on-the-Lake, Ontario – Diamond Estates Wines & Spirits Inc. (“the Company”) (DWS-TSX Venture Exchange) is pleased to announce that as of 5:00 p.m. today it has completed the sale and leaseback of its De Sousa Estates Winery in Beamsville, Ontario to Oakwest Corporation Limited (“Oakwest”), a corporation that owns approximately 31% of the issued and outstanding commons shares of the Company. The Company received $1,800,000 in net proceeds for all of the common shares in De Sousa Wine Cellars Corporation (“DSWCC”), the entity that owns the winery property. Of the net proceeds, approximately $800,000 has been directed towards the retirement of the outstanding mortgage on the property, while the remaining proceeds will support working capital requirements. The Company will lease the winery from Oakwest for a period of five years with the option to extend for another five years. Minimum lease payments due over the first five year term are $500,000 with profit sharing for amounts greater than $25,000 in any given year being split 2/3rds in favour of the Company and 1/3rd for Oakwest. The Company will continue to operate the winery as De Sousa Estates. The winery is well known for its brands: Dois Amigos, Seasons, and De Sousa ice-wine. The Company will retain ownership and all rights to these brands. If Oakwest sells the property during the initial lease term, they will transfer to the Company’s benefit all net proceeds in excess of $1,830,000. The De Sousa winery assets were reclassified to current assets on the Company’s balance sheet as at December 31, 2013 when the property was listed with a realtor and an active real estate marketing plan was undertaken. The net book value of the assets at the time of the sale was $1,880,916. Concurrent with the leasing of the winery, the Company has executed an agreement with Oakwest to provide financial and operational consulting services over the lease term. In consideration of these services, the Company will pay $1 per year and has issued 1,400,000 stock options to Oakwest at a strike price of $0.135 and standard vesting terms under its stock option plan. The Company has also issued 600,000 stock options under the same terms to David Beutel, Chair of its Board of Directors and a Vice President at Oakwest, in consideration of his guidance and expertise in leading the Company through a transformative period. Mr. Beutel will continue to serve in this capacity for the foreseeable future. The sale of DSWCC to Oakwest is considered to be a related party transaction as defined under Multilateral Instrument 61-101 (“MI 61-101”) because Oakwest has ownership and control over more than 10% of the Company’s issued and outstanding commons shares. However, the sale is exempt from the formal valuation and minority shareholder approval requirements of MI 61-101 as neither the fair market value of the subject matter of, nor the fair market value of the consideration for, the transaction, in so far as it involves interested parties, exceeds 25% of the Company’s market capitalization. The Company has not filed a material change report prior to the closing of the transaction as details of participation of the insiders had not been finalized prior to today. For further information about the Company, please contact J. Murray Souter, CEO, at (905) 641-1042 ext. 234, or by email at jmurraysouter@diamondwines.com. This press release contains forward-looking statements. Often, but not always, forward-looking statements can be identified by the use of words such as “plans”, “expects” or “does not expect”, “is expected”, “estimates”, “intends”, “anticipates” or “does not anticipate”, or “believes”, or variations of such words and phrases or state that certain actions, events or results “may”, “could”, “would”, “might” or “will” be taken, occur or be achieved. Forward-looking statements involve known and unknown risks, uncertainties and other factors which may cause the actual results, performance or achievements of Diamond Estates Wines and Spirits Inc. to be materially different from any future results, performance or achievements expressed or implied by the forward-looking statements. Actual results and developments are likely to differ, and may differ materially, from those expressed or implied by the forward-looking statements contained in this press release. Such forward-looking statements are based on a number of assumptions which may prove to be incorrect, including, but not limited to: the ability of the parties to complete the transaction; the economy generally; consumer interest in the services and products of the Company; financing; competition; and anticipated and unanticipated costs. While the parties acknowledge that subsequent events and developments may cause its views to change, the parties specifically disclaim any obligation to update these forward-looking statements. These forward-looking statements should not be relied upon as representing the views of either party as of any date subsequent to the date of this press release. Although the parties have attempted to identify important factors that could cause actual actions, events or results to differ materially from those described in forward-looking statements, there may be other factors that cause actions, events or results not to be as anticipated, estimated or intended. There can be no assurance that forward-looking statements will prove to be accurate, as actual results and future events could differ materially from those anticipated in such statements. Accordingly, readers should not place undue reliance on forwardlooking statements. Closing of the transaction remains subject to the final approval of the TSX Venture Exchange.